​The NSCA Foundation congratulated all finalists, highly commended and winners from the 2017 NSCA Foundation / GIO Workers Compensation National Safety Awards of Excellence announced at the Gala Awards Luncheon on Thursday 12 October 2017 at Doltone House, Hyde Park, which Pro-Visual Publishing’s CEO, John Hutchings and Marketing Manager, Deanna Davenport attended. ​As Pro-Visual Publishing has been a long-term partner and works closely with NSCA, we sponsored the award for 2017 Foundation Member of the Year. This award recognises the NSCA Foundation Individual or Corporate member who has demonstrated commitment and leadership in work health and safety. It could be the implementation of a safety management system, project or program; or a solution that reduces the risk of work-related injury and disease. Regardless of whether your safety initiative is big or small, if it is making a positive difference to work safety and culture, we want to hear about it. This award is selected by the NSCA Foundation Board of Directors and went to Safe Work Australia for 2017. 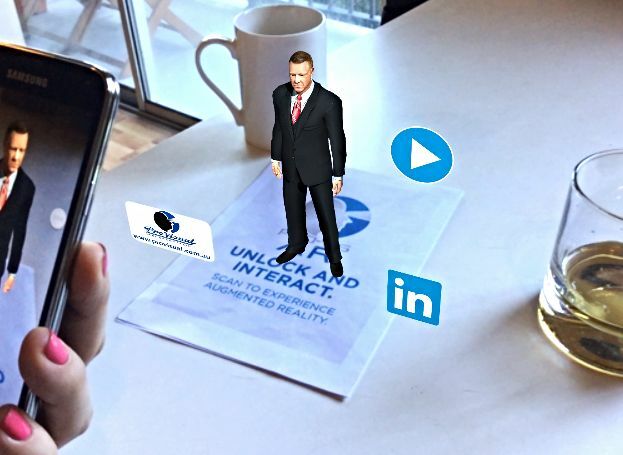 Augmented Reality is growing fast in popularity, thanks to endless opportunities in the marketing world to promote products, enhance user experience and increase engagement. Augmented reality has its roots in 1968 when Ivan Sutherland – an American computer scientist created with the first head-mounted display system at Harvard university. It showed simple wireframe drawings and computer-generated graphics. Because of the aforementioned studies, more companies are now investing in workforce development, with budgets increasing by over 15% every year on average. Even though virtual reality may seem similar to augmented reality, it is merely its second cousin. VR replaces the world around you with a simulated one letting you experience a new, virtual, sometimes even unreal concepts. AR, on the other hand, overlays virtual objects on physical elements to enhance your current perception of the reality. One of the advantages of AR over VR is that you need not to be completely isolated from the real world. In the case of VR, you are completely cut off from the real world. One common problem of VR is that after playing games in the completely virtual environment, people generally complain about nausea. Another advantage of AR is that it can be experienced easily with Smartphone, whereas for VR, some form of HMD is required. By 2017 AR applications are predicted to generate $300 billion revenue, whereas in 2014 it generated ‘only’ around $5 billion. 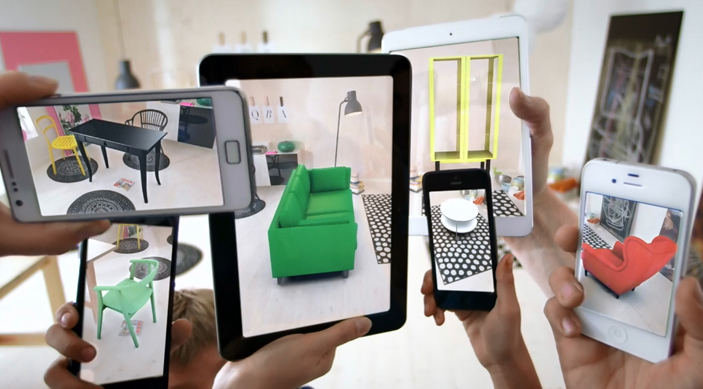 Additionally, by 2020, AR is bound to have more than one billion users worldwide. Since it can augment the effectiveness of navigation devices, no wonder it was applied far wider than only for commercial purposes. In 1999, NASA’s x-38 was flown utilizing a special AR dashboard for navigation purposes. ‘Pokémon go’, which is a perfect example of AR application, caused quite an impact recently. Its enthusiasts realize that by trying to “catch them all” they actually need to move around. No wonder that a significant number of AR applications try to come up with ideas to help us stay healthy and make a bigger impact on us. The Social Media Guru explains this trend as a way to create a more immersive, aesthetic experience for users. Through social media, people have the feeling of not just experiencing things with others but also of learning and growing because of the ways others interact with you within the experience. AR technology is here for the taking and those who find innovative ways to use it in their advertising campaigns will stay ahead of the rest. Now, more than ever, there is a necessity to combine traditional and digital marketing, to create campaigns that encourage customer engagement. The goal is to use AR in such a way that it creates an interactive experience, engaging the customer through a rich and rewarding experience. Over the past months, five new editions of our interactive Health, Safety & Wellbeing Guides have been released to the industry. Each large-print format guide is ideal to display in the workplace for staff to refer to key health and wellbeing information for their industry – and thanks to our sponsors copies are free of charge. By downloading the free Pro-Vis AR app, workers can also use their smart devices to scan over the interactive AR components to access 3D animations, informative PDFs and more excellent resources. For further information visit www.provisual.com.au or to request a copy of a guide click here. 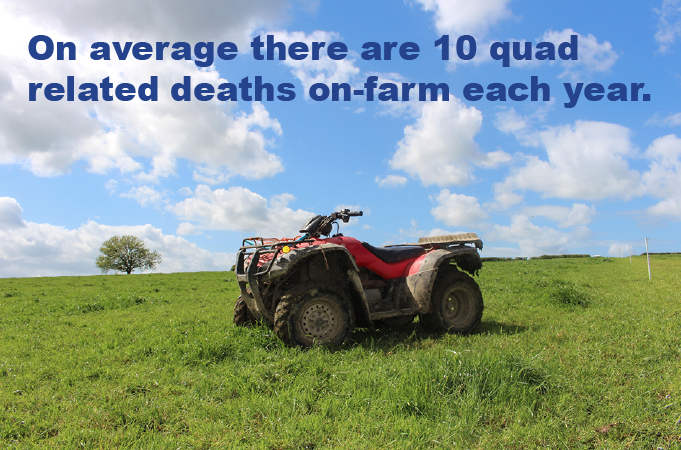 ​Quad bikes are a major cause of death and serious injury in rural workplaces, which makes quad safety a key focus on many of our interactive agriculture guides. 115 people have lost their lives on quad bikes in Australia since 2011, and almost two-thirds of those have occurred on farms, according to Safe Work Australia. It’s an issue that evidently needs to be worked on, and more education is necessary to keep our farmers safe. Recently, Safety Culture reported on the NSW Government’s call to introduce a national five-star safety rating system for quad bikes to reduce farm deaths and injuries. Pro-Visual Publishing understands the importance of Workplace Health and Safety, which is why we are committed to providing resources that assist with addressing legislative responsibilities, and help ensure greater health and safety outcomes for businesses and employees. Workplace Health and Safety training is a key component in keeping workers safe, which is a core focus of our Interactive Guides. 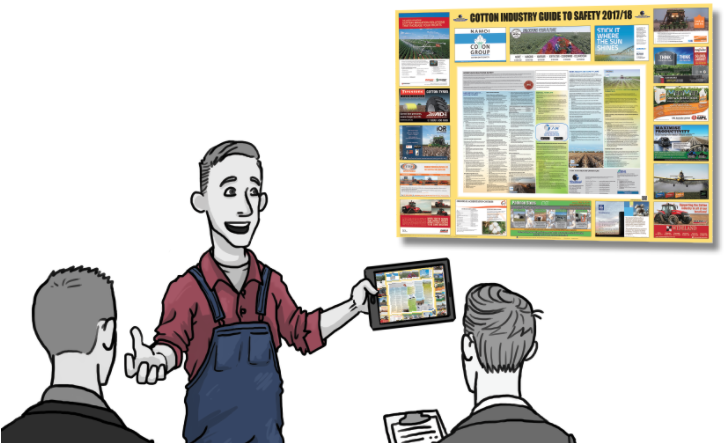 Whether training employees in groups, or when employees use the guides as a reference, Augmented Reality (AR) creates active involvement in health and safety practices for all staff. As well as increasing employee engagement, AR capable guides allow businesses to access a window to more industry-specific resources. 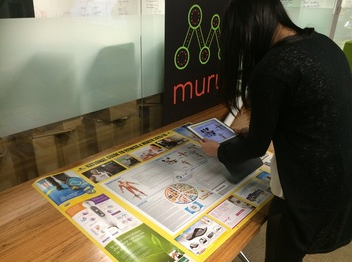 Pro-Visual Publishing began incorporating Augmented Reality into our health, safety and wellbeing guides in 2015. Our aim was to provide each industry we supply to with interactive resources to increase engagement with health and safety, and to provide further information on our sponsors quality products and services. Now 2017, the possibilities of AR just keep growing, as technologies improve and more brands incorporate AR into their marketing strategies. One of the simplest, most important lines of defence against the spread of many illnesses — from the common cold to more serious infections, such as meningitis, bronchiolitis, the flu and hepatitis A — is good hand washing. Germs can easily be spread from one person’s hands to objects or other people that they have touched, which makes it vital to wash your hands frequently, and wash them correctly. Many of our Augmented Reality (AR) capable guides, such as the School Canteen Guide to Food Safety & Nutrition and Veterinary Industry Guide to Workplace Safety now feature an interactive animation showing correct hand washing technique, to help ensure workers protect themselves and others against preventable health issues. To subscribe to any of our free industry health, safety & wellbeing guides, click here. Veterinarians are subject to a unique range of workplace hazards on a daily basis, such as the possibility of zoonotic disease transmission and injuries from incorrect animal handling, making it essential to keep health and safety top of mind. The Veterinary Industry Guide to Workplace Safety 2017/18 helps workers, within the Veterinary Industry to increase their health and safety knowledge, and offers AR content, accessible via the free Pro-Vis AR app. The Veterinary Industry Guide to Workplace Safety 2017/18 is supported by the Australian Veterinary Association, the Veterinary Business Group and the National Safety Council of Australia Foundation. Visit our website to subscribe to your free copy. Augmented Reality is brilliant at creating an engaging, immersive experience for users. And now, a children’s author is using this groundbreaking technology to bring reading to life, by transporting readers straight into the world of his books.